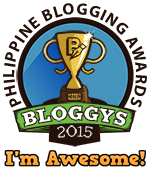 Tekkie Pinas: Discover the extraordinary with Animax this April! Discover the extraordinary with Animax this April! Philippines, 3 April 2017 — This April, be dazzled by the fantastical with two same-day-as-Japan simulcast series premiering on Animax! Both series will be available in localized subtitles for the enjoyment of anime fans across Asia. Even the ordinary can become heroes in My Hero Academia (Season 2)! The highly rated My Hero Academia series returns for a power-packed second season, premiering on Animax on the same day as Japan this April! The young, idealistic Izuku Midoriya dreams of becoming a hero even though he was born without a “quirk”, which is a superpower that the majority of the population develops. His life changes in a chance encounter with his idol and top hero All Might, who decides to share his power with Izuku. 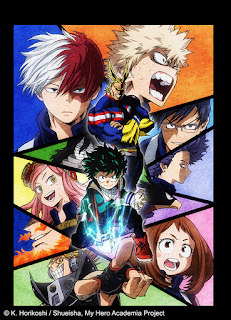 With his newfound superpower, Izuku begins to attend a high school for budding heroes and finally embarks on his lifelong dream to become a hero himself. My Hero Academia (Season 2) premieres on 1 April, every Saturday at 10pm on the same day as Japan. Dreams really do come true in Alice & Zouroku! Adventure awaits when grumpy old man meets nonsensical young girl! Based on an award-winning manga series by Tetsuya Imai, Alice & Zouroku revolves around main character Sana, a member of a group of young girls who possess a mysterious power known as “Alice’s Dream”, which gives them the ability to turn their thoughts into reality. These girls are locked away in secret so they can be experimented on. However, Sana manages to escape one day and encounters a stubborn old man Zouroku, who intensely dislikes disruptions to his orderly life. Will life ever return to normal for Zouroku with a girl like Sana around? 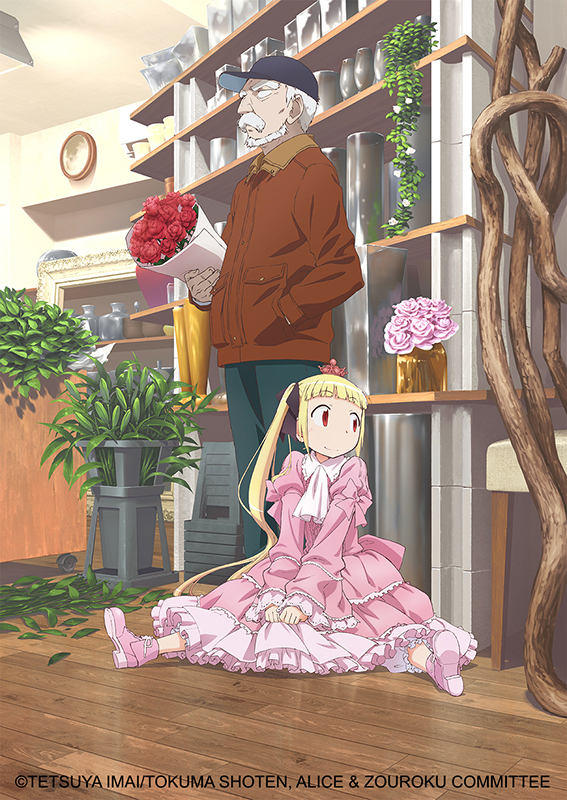 Alice & Zouroku premieres on 2 April, every Sunday at 11pm on the same day as Japan. Apart from the two highly anticipated simulcast series, viewers can also enjoy whimsical comedy series This Art Club Has a Problem! and action-packed mecha series Gyrozetter on Animax in April. The former series follows along the adventures of middle schooler Mizuki as she attempts to play her part as a member of the art club, with just one problem – she’s the only member who actually seems interested in art! Surrounded by outrageous fellow club members and distracted by her crush on one of the other members, can Mizuki continue to pursue her passion for her craft? Based on a manga series, which was also adapted into a video game, the latter series Gyrozetter features an alternate version of 21st century Japan, in which cars have been equipped with artificial intelligence. As a student training to operate these cars, fifth-grader Kakeru is one day assigned to the transforming robot known as Gyrozetter. Together with other specially selected drivers, he must now use Gyrozetter to save the world from the evil organization Xenon. This Art Club Has a Problem! premieres on 11 April, every Monday and Tuesday at 8pm, with two episodes back-to-back. Gyrozetter premieres on 19 April, every Monday to Friday at 5.30pm. Animax is available on Sky Cable Channel 46, Cignal Channel 73, Dream Satellite TV Channel 07, and GSat Channel 24.